Ever feel like you don’t have enough time to play a round of Golf? 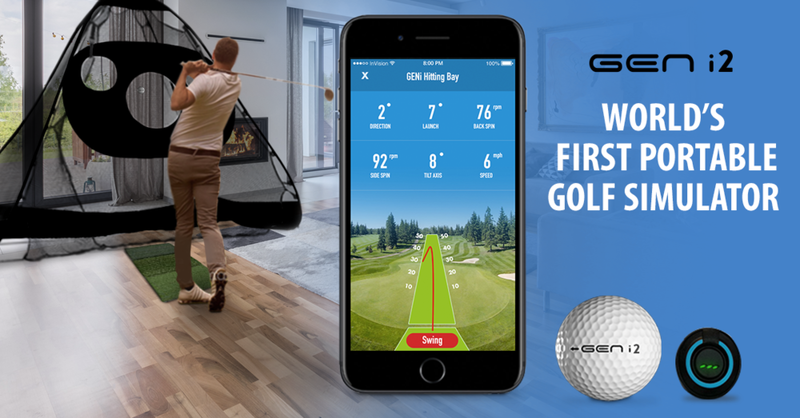 Wouldn’t it be great if there was an affordable (& Portable) Golf Simulator? How were we able to do this at such a low cost? 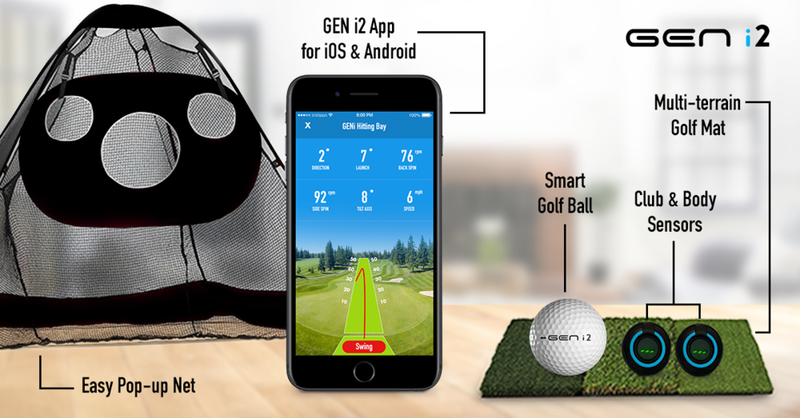 launch monitor inside of a golf ball. What else can GEN i2 do? Well... Play with friends or active players on awesome courses around the world! Connect, Play, Compete, Improve! Learn and improve at your own pace in the privacy of your home/office. Get professional coaching delivered 24/7 anywhere anytime! Absolutely! Even safe for kids! Just click the button below and put in our preorder promo code for special pricing!